Peter Fuss is bringing his message into the public sphere at a time when the country is grappling with rising hate and a surging far-right movement. "I am Peter Fuss. It's not my real name because the art that I make is illegal." 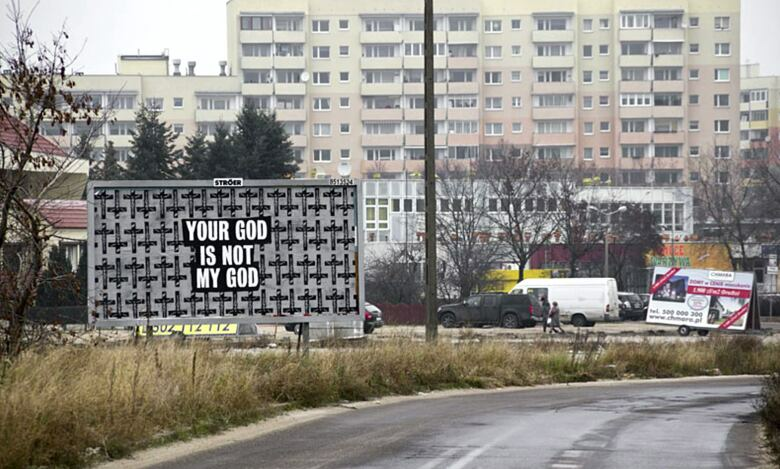 Warsaw's provocative street artist is bringing his message into the public sphere at a time when the country is grappling with rising hate and a surging far-right movement. He feels it's necessary for him to speak through his art. "There is always a risk when you do something illegal, but if we remain silent while this country discriminates against homosexuals or people of other nationalities or religions...If we allow this to happen or agree to it, then we agree to the consequences that follow." "I cannot accept the hate of others and I feel the need to say something." Fuss calls his work — which confronts religion, antisemitism and homophobia and politics — "a reaction to what surrounds me." "I have something to say and I choose to say it on the streets." 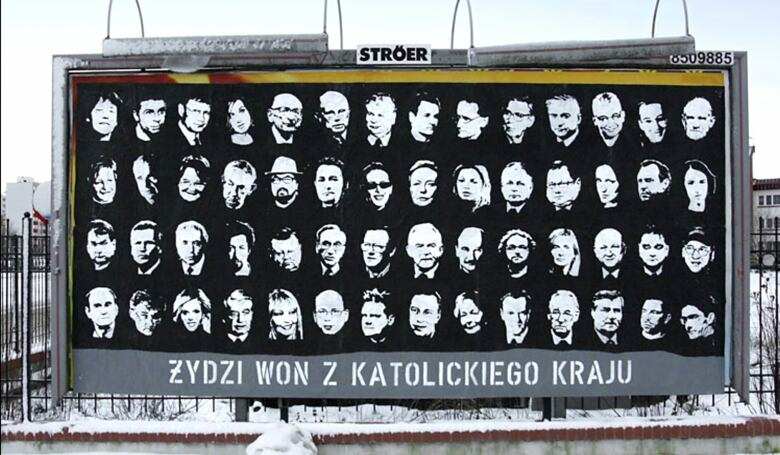 See more stories of artists resisting rising ultra-nationalism in Poland on the Warsaw season finale of Interrupt This Program, Friday November 17th at 8:30PM on CBC TV or online. Watch season 3 episodes from Mexico City, Jakarta, Nairobi, Chicago and Karachi now.